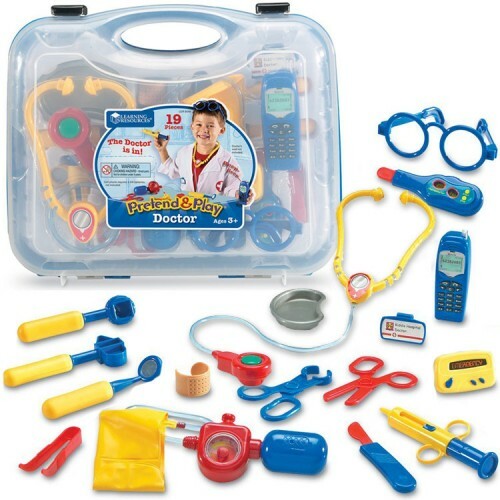 This Doctor Set by Learning Resources is the most complete kids doctor set for hours of imaginative play. Have you ever dreamed of being a doctor? 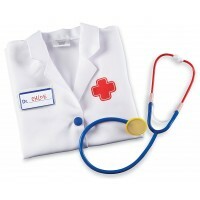 Of using real doctor tools and healing patients? 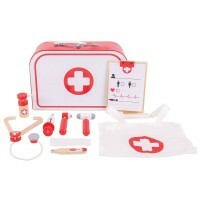 Now, you can save patient's life with our amazing kids doctor kit from Learning Resources. 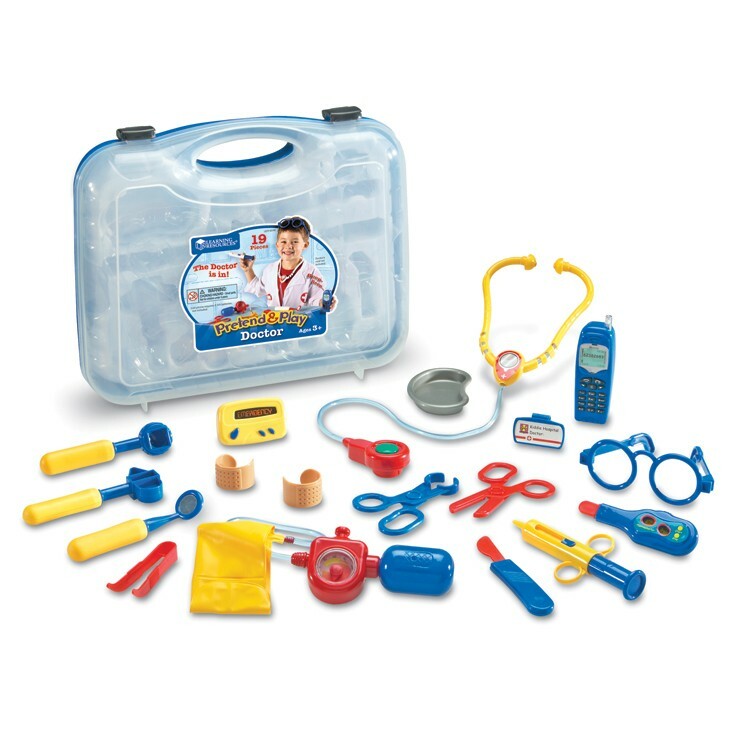 The award-winning toy Doctor Set from Pretend and Play series allows you to heal, care for, and save various human, animal or doll patients as you work as a doctor. You can use the toy stethoscope, forceps, thermometer, bandage, blood pressure bulb and other amazing play doctor tools to care for patients. 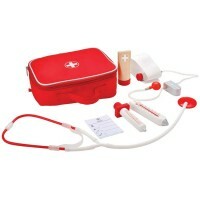 Educational Toys Planet's top doctor toy for children also comes with a cell phone and pager with cool sounds, so you are well prepared for any emergencies. And, when you are done with all your work, you can neatly tuck away all you doctor supplies into the handy plastic clamp-tight case that comes included in the set. 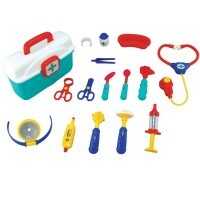 The children medical set features 19 quality pieces. 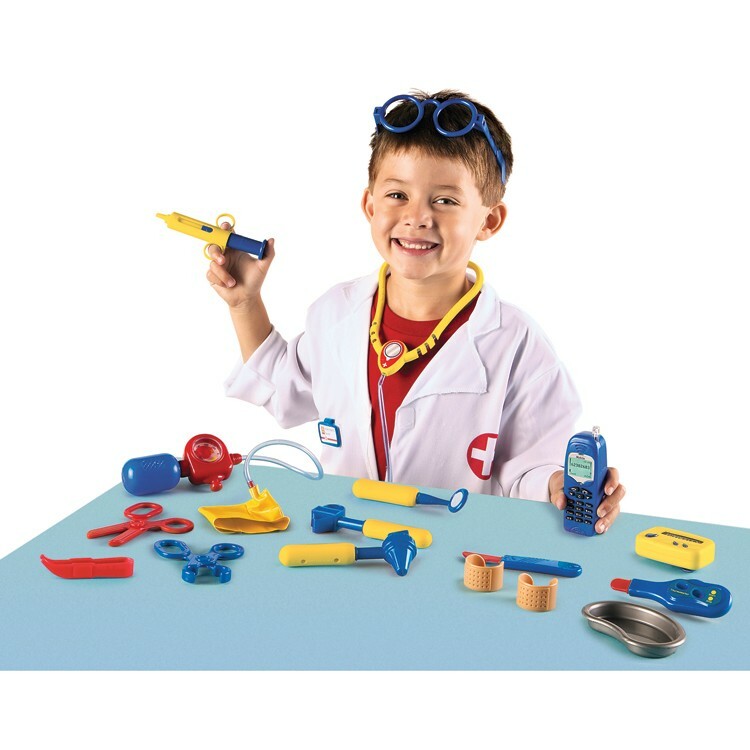 Batteries for toy stethoscope and pager included. 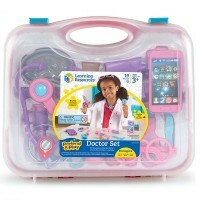 Cell phone from Pretend & Play Doctor Set 19 pc in a Case requires 2 AA batteries (not included). 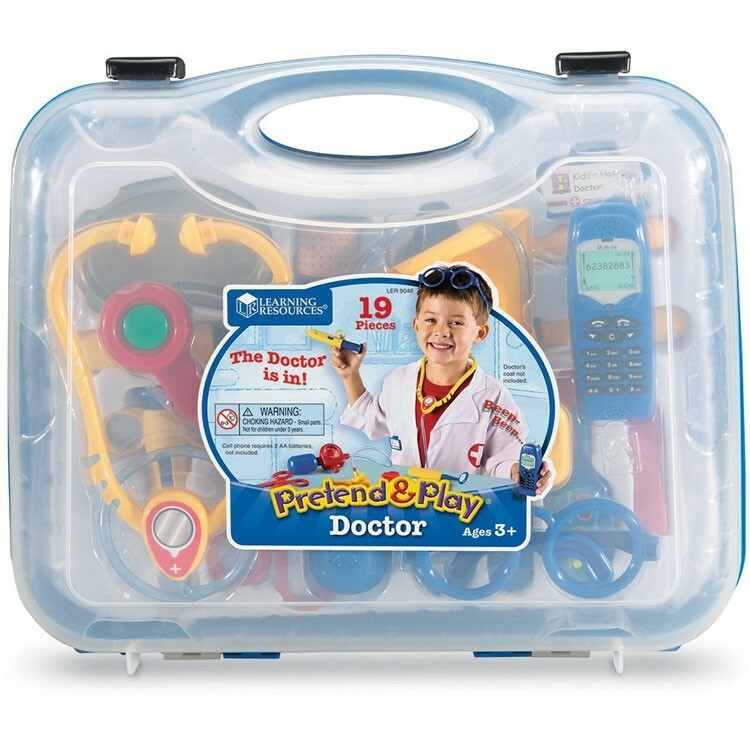 Dimensions of package 0.12" x 0.14" x 0.035"
Write your own review of Pretend & Play Doctor Set 19 pc Blue Case. 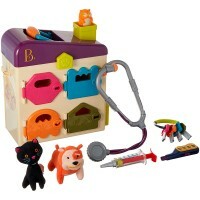 Rating: 5 by Beth, VA terrific doctor's kit for the little ones. Rating: 5 by xuan, MA the product is perfect for my son, he loves it. he is only 2years old and 4 months however when he saw the toys and played with me. I love it . It is better than plastic guns, or swords,..I will tell my friends about the toys. 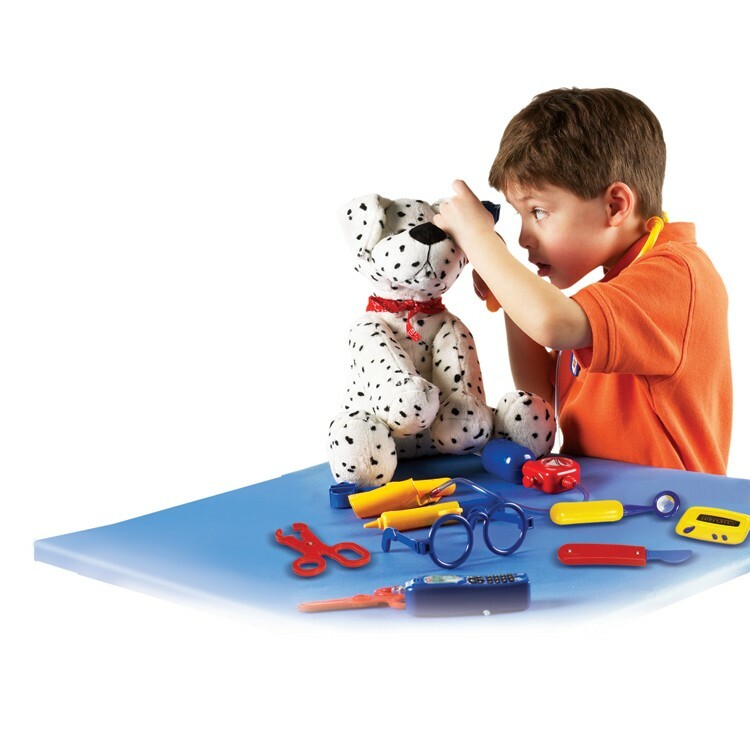 Rating: 4 by peggy, VA Realistic and safe parts - a fun and educational toy, but mighty expensive! Rating: 2 by Guadalupe, CA My niece loved it but I think it should also come with the clothes! 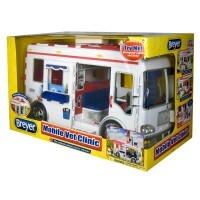 Rating: 5 by tara, WA It's really the best kids doctor set that i could find. Rating: 5 by Greta L, NY My soon-to-be 3 year old loves this doctor set. The phone, pager, and stethoscope all make realistic sounds. 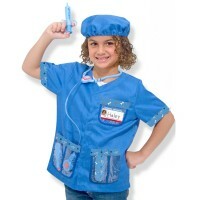 Also, there are so many instruments included in the set; she can pretend to give her dolls a full medical exam! This was definitely worth the money! 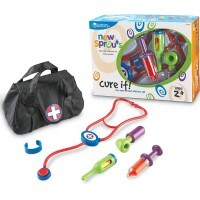 Rating: 5 by Karen, OH so many different elements to this Dr. kit- our daughter loves playing with it!